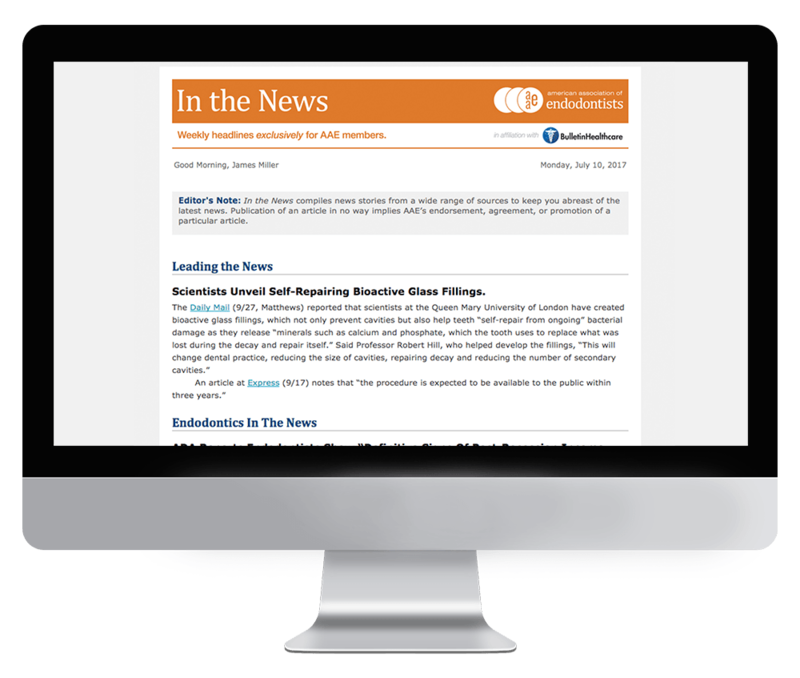 In the News is an exclusive member benefit of the American Association of Endodontists (AAE) that provides readers a weekly roundup of the latest endodontic news. Sections of the briefing include Leading the News, Endodontics In The News, Practice Management, Endodontists And The Community, and Also In The News. The AAE, founded in 1943, is dedicated to excellence in the art and science of endodontics and to the highest standard of patient care. Subscription to In the News is exclusively limited to AAE members. If you are a member of AAE and would like to receive this briefing, please reach out to the association directly.